Videos | GaryBeth Jewelry - A Division of Greg Anthony Jewelry Inc.
A Perfect Gift for A special lady in your life. GARYBETH JEWELRY always pours their LOVE and Soul into their unique pieces. With their superior craftsmanship and detailed work, they have created this 14K rose gold ring with 4 rose cut diamonds accentuated with bright round diamond Melee that will take any ladies breath away. 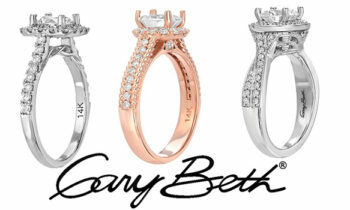 Beautiful Right Hand Ring made by GARYBETH JEWELRY with superior quality and craftsmanship. One of a kind piece in 14k white gold with 4 rose cut diamonds enhanced with white diamond Melee. Beautiful 14K RoseGold Engagement Ring enhanced with rose cut diamonds, with brilliant cut diamonds.